In the area of ​​our services we have individual solutions for your challenges! Are you looking for a perfectly fitting safety shoe, which should also be equipped with orthopedic insoles? Do your employees want custom hearing protection or do they need new protective goggles? Then make an appointment with us so that we can ensure your safety and that of your employees comprehensively! 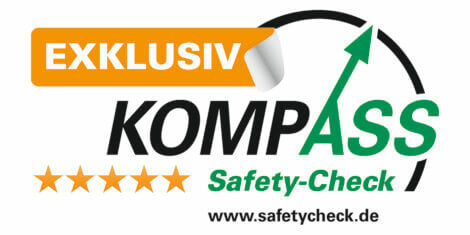 With the safety-check we are able to offer you a complete PPE-solution. It was developed to minimize the downtime of your employees, reduce cost and to be in accordance with legal documentation requirements. Together we will analyze your companies risk potential on the basis of a streamlined questionnaire. Due to that we can assure you that we will not miss a single aspect of the occupational safety of your employees. Using streamlined questionnaires helps us not to overlook any hazard potential and you will be in accordance with the legal and accident prevention requirements at any time. The first and foremost goal of the safety check is to improve the safety and health protection of your employees, but it will provide an added value to many areas of your company. 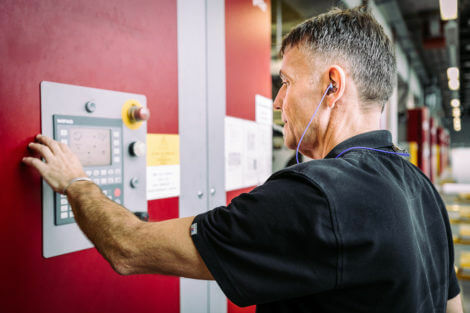 Lockout/Tagout, LoTo for short, is a planned safety measure that involves shutting down hazardous energy sources on industrial machinery and equipment during maintenance and repairs. This procedure protects employees from the risks. ABUS I M P is a service tool that focuses on the safety and health of your employees during maintenance and service. 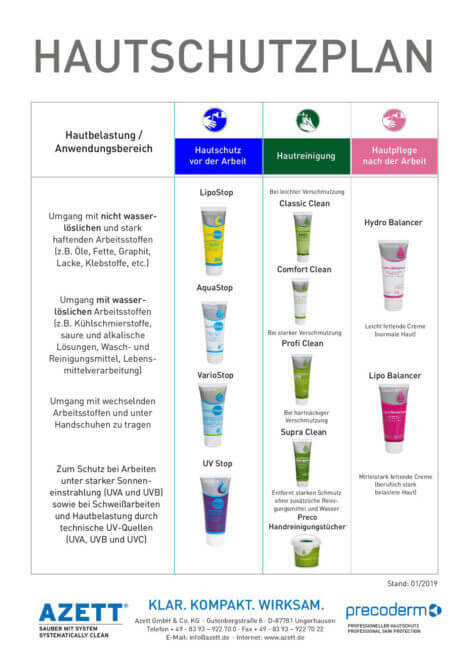 In addition, in cooperation with ABUS, we provide a comprehensive basis for sustainable preventive work. ABUS I M P handles and answers all questions regarding LoTo. reconditioning of the system with the aim to completely fulfill the current operational safety regulations in the field of maintenance. The most important revision in your life! Gas detectors can only save lives if it is guaranteed that they will work reliably in an emergency. The Working Group “Measuring and Warning Devices for Hazardous Gases” (MEWAGG) has updated the compilation of requirements for the use and operation of gas warning systems and devices on behalf of the German Social Accident Insurance (DGUV). The requirements for fixed and portable equipment are prescribed as “state of the art” in leaflets T 021 / T 023. Thereafter, the devices must be inspected at defined intervals and by specially instructed or qualified persons. Dräger offers you all the necessary support in carrying out all maintenance requirements with various function tests and services. No matter which products you choose for your application: In any case, you will find the best and most economical solution for your safety with us. 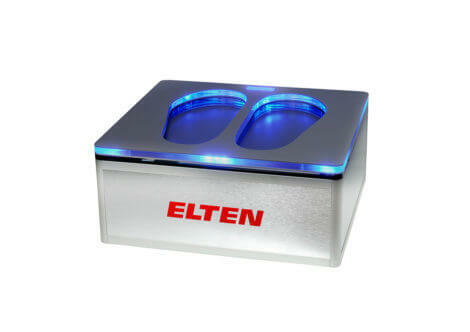 We are responsible for ensuring that you have ready-to-use equipment at all times. You not only save the initial investment in purchasing a device, but also the follow-up and staffing costs for maintenance and device management. And you only pay for the time when you really need the devices. 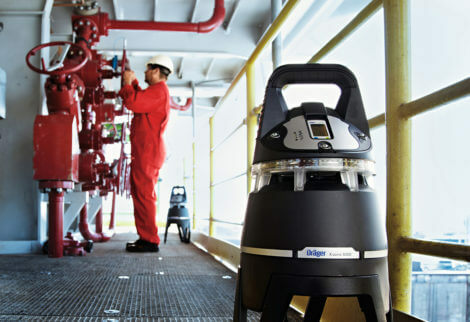 The Dräger rental equipment service is one of the modular security concepts. The name Dräger stands for holistic security systems, consisting of products and services that are individually developed and flexibly implemented for each of our customers. All rental equipment is maintained and repaired by qualified technicians in Dräger’s own workshops. 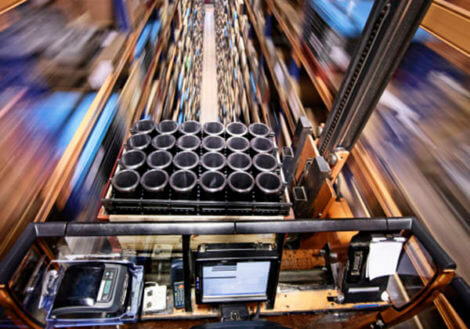 Modern logistics software tools are used to ensure that the prescribed maintenance procedures and, in particular, regular device replacement work smoothly. Dräger gas meters have established themselves as the standard for reliable ambient air monitoring. Even the slightest concentrations of hazardous substances are reliably displayed, helping to work safely. Top priority for the right shoe: It needs to fit! Even more so for shoes that have a daily, long time use – like safety shoes. If the safety shoe causes complaints, because the fit is not correct, the wearer might leave the shoe in the locker. If they are worn anyway, tired or paining feet will distract the user from his work, and that too is a potential safety risk – for the wearer as well as his colleagues. Therefore ELTEN aims to provide perfectly fitting safety shoes for all employees, independent of age and gender of the wearer. Safety risks at the work place have to be avoided at all cost – also for feet. Comfortable safety shoes are a very important part of the personal protection equipment (PPE). So how do we get the perfect shoe to the wearer? Answer: Through a technically advanced measuring system and the resulting recommendations for foot protection with an optimal fit. Of course, we offer many models, suitable for use with orthopedic finishing according to DGUV Rule 112-191. Prescription and computer glasses are individually fitted to the employee. The equipment is provided by one of the many partner opticians of our service provider, in close coordination according to your model specifications. After the measuring, we provide our customers with a quote. Once the clearance for delivery has been granted, the glasses are manufactured and finally adjusted by the optician. If a normal earmuff or earplug is no longer sufficient or the wearer’s acceptance is lacking, a customized earmold provides the solution to protect the employee from excessive noise pollution. Otoplastics are made by an impression of the employee’s inner ear and are therefore fitted precisely and individually to the wearer. For a larger group of employees, this can be done on site, by the company physician or by a trained employee of our partner. Hearing protection belongs to category 3 according to PPE Regulation 2016/425 and must be instructed in principle. Otoplastics must be checked every two years and replaced if necessary, since the human ear canal constantly changes even into old age. The production of personal protective equipment against falls is subject to the strictest manufacturing requirements and the supervision by a quality assurance system. 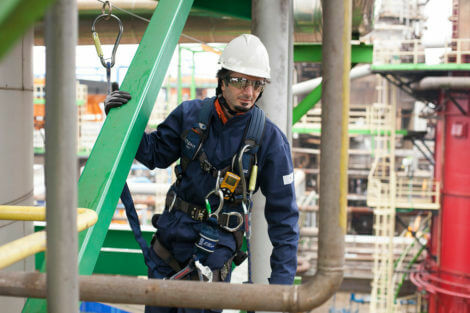 Since the PPE against falls must protect the lives of employees and if necessary, rescue them, continuous maintenance and inspection is required by law. 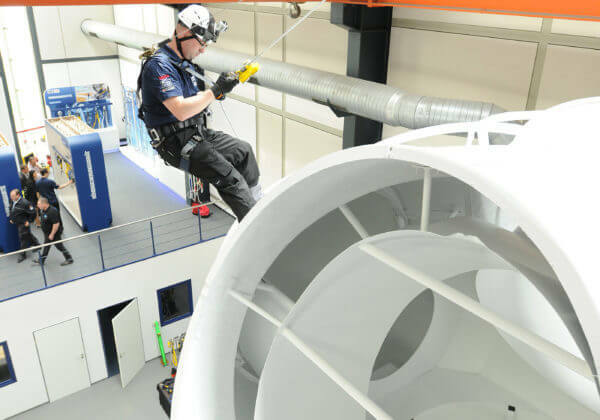 A visual inspection of the proper condition PPE against falls and a functional check must be carried out before each use. Through the DGUV 112-198, the professional association has set at least an annual review/ revision of the PPE against falls by a specialist. The specialist is required to carefully document the tests that depend on the conditions of use and the operational conditions. We provide timely and – by the respective product manufacturers – licensed revisions through our expert auditing staff. Necessary repairs and/or replacement of equipment and spare parts are organized together with the corresponding manufacturers. As the world leader in fall protection, 3M Capital Safety is perfectly positioned to provide training for safe working at heights, as well as entrances and exits in confined spaces in many industries. The professional team, composed of highly trained instructors with extensive experience in working at height, ensures that the participant receives the best possible training. Are you looking for a specific training? Please don’t hesitate to contact us immediately! Each year occupational skin diseases cause companies and social welfare systems in Germany costs of around 1.5 billion euros. More than 25 percent of all occupational diseases affect the skin. Many of these illnesses could be avoided through effective policies to protect workers. The effectiveness of a skin protection plan depends essentially on its acceptance. We support you with that. Do you need an online procurement solution for your business with a multitude of different users? We can recommend our e-procurement system! Present your employees with your good name! The variety of clothing gives you the opportunity to dress your employees according to their own style, the individual finishing underlines in addition and with high recognition value the appearance of your company! A special range of boil-proof, flame retardant or industrial wash resistant emblems are at your disposal, tailored to the requirements of your textiles. Nylon transfers offer the solution for these demanding surfaces with their special adhesives. A selection of transfers for elastic or highly stretchable materials as well as the possibility to faithfully reproduce photo motifs and color gradients with digital transfers. Available as standard version or partly with flame retardant equipment in silver or with Logo print on silver reflecting surface. Also suitable for softshell material that tends to discoloration! For textiles made of cotton or cotton blend fabric with flame retardant equipment. As standard version for 60 ° C household linen according to EN ISO 11612 or as industrial wash resistant alternative according to EN ISO 15797, 14116, 11611, 11612. Embroidery is an elegant way of finishing. Logos have a very high quality appearance. The variety of yarn offers a wide color palette to choose from. 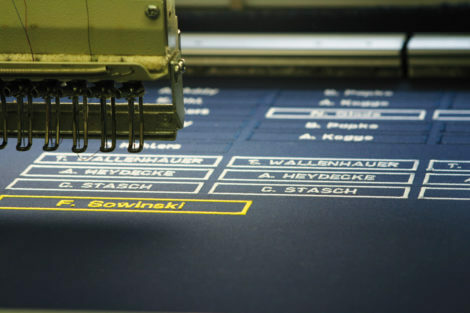 The laser engraving is particularly suitable for colored fabrics and textiles, as the deep engraving works out the contrast very clearly – and that on both fleece textiles, leather or also denim fabrics (if the material allows it). The logos and pictures appear tone-in-tone or in grayscale on the engraved fabric – a very restrained, but noble appearance. The quality of our transfers is tailored to the requirements of the workwear sector. Our flame-retardant FR transfers can only be tested and certified in conjunction with the fabrics used. True to the saying “Clothes make people”, we take care of all the equipment of your team with work clothes and PPE, all services related to optimal clothing logistics and the professional care of the textiles. Our partner is a textile full-service provider for industry, trade and service. Depending on your requirements, our partner will cover the investment costs for your clothes and recommend full service leasing. 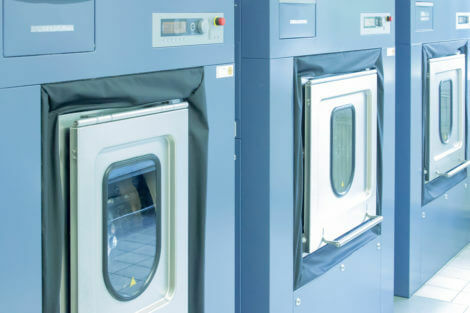 Alternatively, we also offer purchase / wage laundry solutions individually. Cabinet systems for in-house change of clothes as well as distribution cabinets, collection cabinets and their filling are also part of our services.